So exciting to introduce you to Viola Ryan, an amazing woman in her own right, plus two of her Main Characters who insisted on getting in on the act today to discuss their new book, The Mark of Abel, (details below) the first book in her series. I’ve heard about these MC’s, read some of their words, but this is the first time they’ve been let loose in our blog. Is a frustrated artist Lucifer’s ticket back to heaven or will falling in love with her reawaken the compassion that got him expelled? Lucifer is fed up with humanity. He created hell to deter evil, but man’s inhumanity is only escalating. He just wants to return home to heaven, but ever since that little problem in the Garden of Eden, the Pearly Gates remain firmly shut to him. It doesn’t help that he’s the first vampire, an abomination in God’s sight. Fortunately, two thousand years ago Lucifer’s estranged brother, Jesus, gave him a prophecy. To fulfill it, all Lucifer has to do is find the right artist, study her artwork and the path back to heaven will be revealed. The artist even bears a symbol so he knows who she is. Too bad she is murdered every time he finds her. Janie’s a frustrated artist and college art teacher who wants two things—a guy she can show her paintings to and a night without nightmares. Each nightmare plagues her until she paints it. She doesn’t realize these paintings are key to unlocking her destiny, one that could redeem the original fallen angel. Wow! Ready to meet the gang? Michele: Welcome, Viola! You and I have talked about your artistic and poetic characters, and I know you’ve all had quite a busy month. I’m going to let you play lion-tamer here, and be your spotter during this interview. So, the stage is yours, to mix my metaphors . . .
Viola Ryan: Thank you for inviting us! Both Lucifer and Janie are anxious to explain why they are each right and the other is . . . not-so-on-track. They promised to behave, mostly, so we’ll see. So, I’d like to welcome Lucifer and Janie, the stars of my debut release The Mark of Abel, to The Poetic Muselings. Lucifer: Roses are red, Violets are blue, Hell is hot, and so are you. Janie: Luke! Shame on you. Michele was nice enough to let us be here and Viola took time aside from writing the sequel. (aren’t you dying to find out what she’s going to do to us next?) Poetry is important. Lucifer: What do you know about poetry? You’re an artist. A picture speaks a thousand words. Janie: But that’s what a poem does. It isn’t the sum of its words. It paints a picture every bit as much as my paintings do. Lucifer: So no dirty limericks? Janie: NO! Viola please continue. Viola: Thank you, both. You can see why he’s so much fun to write. Janie: When he’s not brooding over how God has wronged him. Lucifer: God wronged you, too. And I don’t brood. Janie: Not even a little bit? Viola: (laughing), more than a little bit. Back to the interview you guys. Geeze, it’s like I’m writing The Mark of Abel again. You two like to go on your own little paths regardless of what I want you to do. Lucifer: And you love every minute of that. Viola: Maybe. Back to the interview. Since we are at the Poetic Muselings, I thought we’d talk a bit about Janie’s art and art in general. Janie’s been reincarnated many times, but she’s always an artist of some sort. Why do you think that is? Janie: Art always speaks to something deep in me. I have to paint or express myself someway or I’ll explode. Lucifer: You are creative and a priestess. Put those together and you get some type of artist. Poets, too. Viola: What do you mean a priestess? You aren’t exactly chummy with God anymore. Lucifer: There is a greater truth to this universe that supersedes even God. Janie’s art helps people reach that. That’s what good art does. Janie: I didn’t know you felt that way. I’ve always believed that. Art is a way to reach a deeper understanding. That’s why I teach art appreciation at Archer College. Art speaks a language that lives deep inside us. A picture does more than speak a thousand words. It speaks things words themselves cannot. It reaches our souls. It feeds our souls, something modern society starves for. That’s why society needs artist of all sorts, including poets. Viola: You mentioned you’d explode. Can you go into this? Janie: I have horrible nightmares. If I don’t paint them, they build up inside me. The pressure is intense. For awhile I tried to resist painting them. I want to paint happy paintings, like Renoir. First, my muse fled. She wasn’t going to let me paint anything pretty. Then I felt tingles in my extremities. I was constantly flexing my hands to try and shake this off. It didn’t work. Eventually, I felt like I was having a heart attack, like my heart was actually being crushed. I had to give in. As soon as I started painting my nightmares, the pain went away. Viola: Thank you. Your paintings are one of the most important twists in the book. Lucifer: Hey, what about me? I’m not the red horned, pitchfork wielding Devil everyone knows and hates. Viola: I know. I said, ONE of. Of course the reimagining of Judeo-Christian stories is the most important twist and a lot of fun to write. Lucifer: I like being the first vampire. Viola: I’m glad. It’s getting to be dinner time here for me, so do either of you have anything else you’d like to say? Janie: Isn’t he cute? He really is a gentleman in many respects. What I’d like your reader to do is give him a chance. A lot of what you’ve heard is wrong. He’s no teddy bear, but he’s not a bad guy. Lucifer: Thanks. I should say something nice here about Janie, but she’s laid her heart out and there is nothing more beautiful than that. Words would just mess things up. I wish I could write a poem demonstrating how wonderful she is, but I can’t. Maybe your readers can do that. Viola: Thank you both for coming. Thank you Michele for having us. Feel free to ask us anything in the comments. We’ll be around if you want to chat. Michele: Thank you, Viola, Lucifer, and Janie. I love the intricacy of your story, the intensity, and creative re-presenting of issues. Things are never what they seem. I know you are all working madly on the next book, and hopefully, working together! We’re so glad you joined us. Our readers can add their comments to this post, and we’ll make sure you have a chance to respond. We’re including links to your awesome Book Trailer, (LOVE the soundtrack!) and publishing details. The Mark of Abel is in ebook now, and will be in print in September 2013. A very good friend of Viola Ryan in high school said, “You don’t think outside the box. You blow the thing up.” Sometimes boxes need exploding. That’s why she’s here. She has a whole bag of C4 and isn’t afraid to use it. She’s blessed with people who treasure her eccentricities or at least put up with them. Sometimes the box can be a cozy place. Without some sort of stability, her two daughters’ and her life would be unmanageable. That stability comes from her husband. He’s the rock holding her family together. On the flip side, his career is anything but stable. He’s a Chief Marine Safety Technician in the US Coast Guard. They’ve lived from Kittery, Maine to Yorktown, Virginia. Fortunately, the moves have all been on the east coast. Then again, the Coast Guard tends to guard the coast. Her oldest daughter (16) was born on Cape Cod, not far from Plymouth. Massachusetts. Her youngest (12) was born in Yorktown, Virginia, down the road from Williamsburg. Viola jokes they’re doing the colonial America tour. Criticism of your writing, your looks, or your personality, whether positive or negative, has an impact. As “sensitive poets,” perhaps we react even more strongly than others. 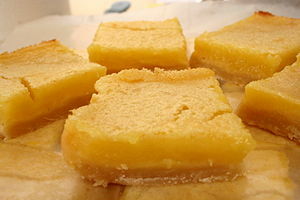 Remember, when life gives you lemons, make lemonade (or lemon bars)! Today, I offer you this poem about criticism. Will take away the sting? With every bite of lemon. 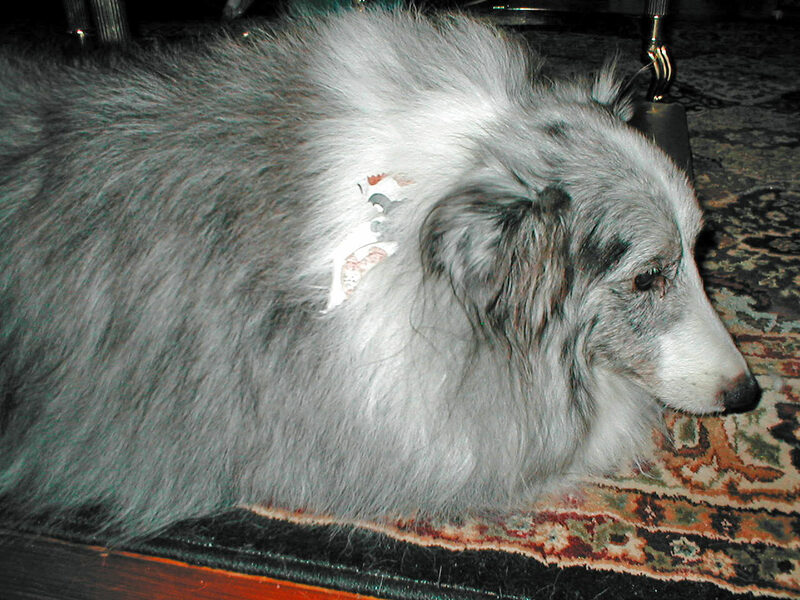 I had to put my sweet Sheltie Smokey to sleep last Saturday.When I saw the suffering in his eyes and it seemed to say Mom, please do something for me. So I did the right thing and had him put to sleep. Cancer has taken another of my sweet dogs. I’m across the Rainbow Bridge still expecting to see him when I first come in. When thoughts come like that, I know I can find comfort about my decision. He is out of pain. What a good dog he was. So now life goes on with me and the cat. There’s the poet, then there’s the poem. One cannot exist without the other. Every poet has their own particular point of view. Like light through a stained-glass window, the poet filters inspiration. The poet is the stained glass. The light is inspiration or Spirit or emotion. 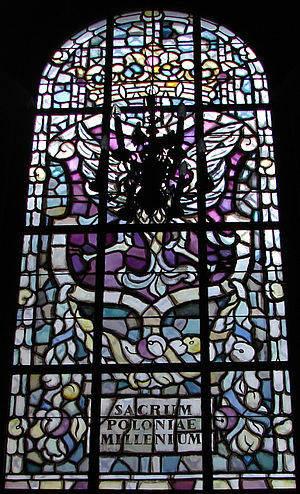 The light and the stained-glass together create a special kind of light. That light becomes the poem. For without an audience we are just playing to an empty room. Today’s subject is Paper (and writing). from which tall tales are birthed. Come back on Friday, March 22, for Make Visible: Criticism. I have multiple novels in various stages. Sometimes I have a basic idea, but not enough for characters or plot. I always write these down anyways. If I’m bored, I’ll pull up my idea file and see if any of the bits and pieces will work together. I want to share with you the notes and evolution of how my current project came together. All these notes came at completely different times and from unrelated places. Someone who lives to their beliefs. Mental expectation defines our reality. Refusing to belief that flight is impossible. A person lives by their own set of rules. What others see as tricks and magic is reality for this person. Anything is possible if you believe. two best friends from childhood, begin to grow apart. the guy stops writing. she continues, unaware that he is throwing her letters away without reading them. The guys roommate gets curious and opens them. he falls for her through the letters. when she writes about interest in a guy, he gets jealous, has to meet her. They call me crazy. I’m not crazy. Just different. I’m happy. I can’t help expressing it. They don’t understand me, because they have not experienced my happiness. It wasn’t until later that I came back to this notes and realized they could all be combined into one story. Each alone is only a concept, a character, a setting. But combined together we can begin to see a STORY. Suddenly I had three characters: a “crazy” woman who believes in magic and writes letters to her old friend, and the roommate who intercepts these letters. I still wasn’t ready to write the story. It needed rules, conflict. But the combined ideas gave it a shape, popped it out of 2D and into 3D. So that’s my advice for today. Always write down your ideas, no matter how small. And if you cut a character from a story, or a line from a poem, save that as well. You never know where it might find a fit later. If you don’t have anything in your idea file, or can’t find a way to make any of your ideas fit for a story, don’t be afraid to use prompts. There are plenty of prompt generators online. Feel free to use different ones, mix and match. Get a character here, a setting there. The more ideas you can combine, the more depth your story will have. Seventh Sanctum: A personal favorite. In addition to story prompts, has a lot of other random generators. Writers Digest Boot Camp has a download for two full weeks of prompts. Our thanks once again to mega-mentor Lisa Gentile, for this follow-up to Boundaries and Compassion (Part 1). Lisa’s thoughtful response to the questions at the end of the post were what I needed recently to reframe a situation with someone I trust and worked closely with in the past. We hit a couple of communication and expectations bumps that left us both at odds. (Continued at the end of Lisa’s post). How do you choose your confidant? In general, confidant candidates appear randomly in my life. A client of mine recently said that when she shares a little, enters a vulnerable space, and her conversation partner then shares a little bit in that vulnerable space they can begin to build trust. It starts with a risk. It takes trust to build trust. When I need to share something specific I consider who is physically, emotionally, and mentally available and maybe who is already close to the topic at hand. I suspect that I also consider which of my friends seems to reflect the image of myself that I want to live up to through the matter of the moment. That gives me a sense of safety when I’m vulnerable. This bias is natural. However, I do trust my confidants to hold me accountable and to call me out on flawed logic or restrictive thinking. How do you recognize and communicate the type of feedback you need? But it’s not always so simple to reach a clear hypothesis. So more and more I do myself the favor of realizing earlier in the process that I can explore these very questions with a confidant or, depending on the topic, my coach. I can bring in support sooner rather than later. How do you recognize unjust and/or inappropriate comments or actions from others? It starts in the gut, the heart, or the brain. Pick an organ. We all want to feel appreciated for who we are. If I feel unheard, used, or otherwise discounted I hold back. If I think that the other person is determined to project his or her own agenda rather than respect my effort to share myself and reach out, I am discouraged from sharing more at that time. It might be that the timing is bad for one or both of us. It might be habitual. When it comes to compliments, I would much rather hear, “I like it when you synthesize and reflect what I’ve said. I know you are listening,” than, “You are good.” The former is specific and describes a connection. The latter is a judgment. Of course confidants can get away with more because they have trust equity. They are not evaluating the entire relationship after every sentence and they have time to elucidate messages. Furthermore, our interpretation of language is filtered by our beliefs and cultural norms so it makes sense to not be too quick to rule someone out. Deborah Tannen developed an interesting theory that we care about how the information we pass effects the receiver as much as we care about the information that we pass. It would be nice if we all had the time, energy, and presence of mind to polish our communication skills from time to time. Short of that, if we continually encounter someone who doesn’t match our expectations of personal responsibility, it might be a good idea to keep a polite distance. Does it happen repeatedly with the same person or people? Difficult people have good days and easy people have bad days. I have grown close to people who initially offended me. I hope that others have given me a second, third, and fourth chance. But when it’s a recurring issue, I detach. Specifically, what tactics have you developed to protect yourself in these situations, separating you (the recipient) from the message and sender of that message? No kidding, when a comment catches me off guard I sometimes visualize an aikido turn that is designed to let the offending gesture roll past me and return me to my center stance. If I must socialize or work with someone who probably means well but with whom I don’t feel mutual trust, I try to limit our interaction to group activities where there is not much pressure on one-to-one experience. How and what do you communicate in this scenario? It depends on the context and our relationship. Sometimes it’s helpful to “check-in.” I might ask whether there is something specific on the speaker’s mind. I might say I need a time out to sort out the issues. I might ask whether we can separate the issues together. One conflict resolution technique that I use in the Moxie Mavericks Team Strengths Builder workshop can be useful here. Conflict often leads to mutual feelings of disrespect. Sometimes it helps to stop and share what we each value most in the situation—which signature strengths we are trying to express. Then we can appreciate each other and find a way for both objectives to be met. How do you remain compassionate, but protect your personal boundaries? Oh, the forgiveness I have received! Life can be hard for all of us. At times people have assumed things about my life and therefore how I should behave. I’ve learned to try to not assume things about the lives of others. I don’t know what I don’t know. Hopefully, we don’t have to condemn others to protect ourselves. We need to nurture our own emotional resiliency. Contracts are helpful. My sister and I are both business owners and sometimes we collaborate. When we do, we write and sign a contract. Some people think we’re silly. But we clarify and document our expectations so we can focus on collaboration. We define our boundaries for that particular aspect of our relationship. How do you heal yourself after such an encounter? To sustain performance, we have to manage our energies through a regular cycle of expenditure and recovery. Emotional energy is one of the four types that requires special attention. To recover my emotional energy after a difficult encounter, I acknowledge my negative feelings and show myself a little compassion. I use Dr. Kristen Neff’s guided meditations for self-compassion. They are available for free at www.self-compassion.org. Sometimes it helps to make an effort to empathize and forgive, to consider the situation from the other person’s perspective. Then I do something that I enjoy in order to move toward positive feelings again. What form of creativity helps you re-center and move forward again? I like working in the yard or at the workbench because the projects require decisive action and the results are somewhat immediate. There are usually half a dozen projects that I can sand, paint, saw, drill, or dig at a moment’s notice. I like a walk in the woods, a swim, or a sail to really refresh. Knitting works in a pinch. These activities help me discharge energy from adrenaline and cortisol. Journaling and sketching help me sort out residual thoughts. Identifying your own responsibility in these interactions, and engaging with coping skills to deal with the flow – rather than reactive response – is something I need to remember. . . at the time of encounter. I need to also remember to breathe OUT without words or monkey mind thoughts to get my bearings. Trying to get it all figured out before asking for help is another biggie — I’m really glad you stated that here. Too often, we — the helper types — think we should be able to handle “it” ourselves, and can waste precious time, psychic energy, and generate huge amounts of destructive worry and adrenal overload when we don’t consider our resources (like trusted confidants). I’m glad I had your wisdom before I talked to my colleague. I addressed, and cleared the air, about one of our issues in a way that was constructive for both of us. My gut kept me silent about the other at that time; something wasn’t “right” about how I wanted to talk about it. Rereading this post made me realize I was approaching the problem with pseudo-“I” statements that were really “you” criticism. Boundaries, Compassion, and Relationships — the very heart of so much of our poetry, no?